Today is my 48th birthday. 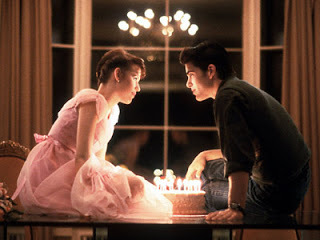 I have decided it is easy to be happy on your birthday when you are happy and not waiting for Jake Ryan to show up in his Porsche to make you happy. Thanks for getting my underpants back. I don’t need anything, so asking Deren for a gift would be silly. It’s not like he can wrap what I really want from him… a two-car garage. For every occasion, I would like an experience from Deren. Memories are made of this and all that. We planned a getaway for Sunday night and I took Monday off because my company lets you take a day off for your birthday. It really is a great company. I didn’t know where we were going but I took the dog to my ex’s house and packed a bag. Saturday night, I made a nice dinner for Derwood. We grilled pork chops, made a salad and the pièce de résistance….orzotto with pearled barley, shallots, leeks and mushrooms. Wow, it was soooo good! Barley is good for weight loss, which is why I bought it. It fills you up so you don’t feel like eating. Barley is the most fibrous of the whole grains. I have learned a lot about barley since Saturday night. I have learned that two people who have just eaten a lot of barley should not be trapped in a car together for any length of time. We ate Trader Joe’s barley which is 37% fiber. Do you know what eating 37% fiber barley will do to your insides? The farting never stopped. Deren’s barley processing was about 4 hours behind mine for some reason so the total barley farting time was about 12 hours. Barley farts smell horrifically bad. Barley also bloats you up, sure you don’t want eat more because your stomach has filled up your gullet and the only space left for food is behind your forehead. 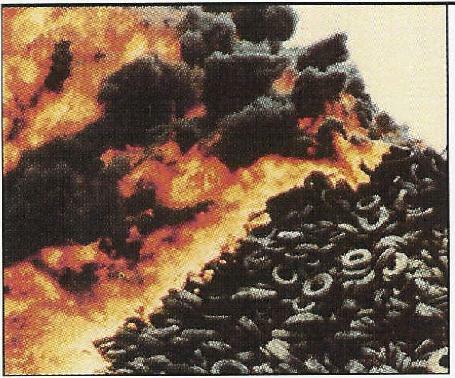 Barley farts smell like burning tires, like an industrial accident involving hundreds of burning tractor tires. It’s extraordinarily bad and we drove to the Oregon coast dealing with the Barley Fart Phenomenon. This conflagration smelled better than the inside of my car on Sunday afternoon. Barley farts aside, we had a really fun drive to the Oregon Coast. Deren was restricted on his snacking because he tends to veer a bit whilst driving and eating; so the hummus was put away. Yes, I know you are a very safe driver Derwood, just save the appetizers for later. He told me that I should eat the sweet potato tortilla chips “they’re not fattening.” Then he launched into a speech about how good sweet potato tortilla chips are for me. “Catch yourself there?” I asked him. He knew he was busted, which made him laugh and then he choked on his fattening Kettle Chips and almost stroked out at the wheel. That’s it Mario, just keep the hands at 10 and 2. We went to the antique shops in Aurora, Oregon. A town composed of just antique stores and some restaurants. We continued on to the coast. Initially the plan was to go to the Newport Wine and Seafood Festival but I’ve done that on my birthday and I’m old and crotchety now and don’t like crowds so we continued on to a little town called Depoe Bay. 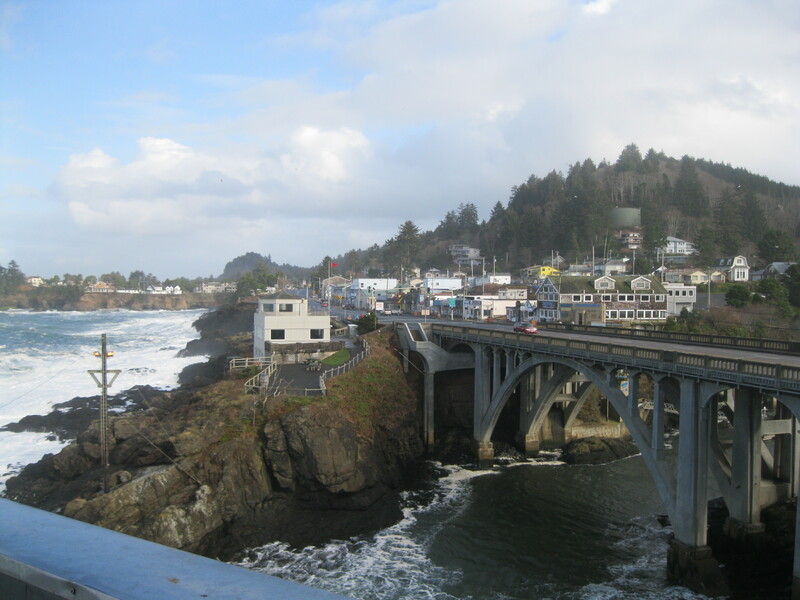 Depoe Bay has a rather seedy, touristy downtown right on Highway 101. The village is famous for Gracie’s Sea Hag bar and restaurant’s clam chowder. It’s a great recipe but the place is past its prime. Deren snuggled up to me and pointed across the channel and said, “that’s our hotel.” Oh. Gulp. The Channel House. I know that because it is painted in big letters right down the side of the building. Well, it’s on the ocean so at least it has that. In college, my pals and I would mock ourselves by saying “Judge a book by it’s cover but don’t read it.” I judged the Channel House too quickly. Wow! It’s a bed and breakfast but seems like a hotel. We stayed in the Admiral’s Suite which was a nice hotel room with a fireplace and a tv in a small living room. Through a door was a bedroom with two walls of glass that stuck out like a box over the ocean or it seemed that way. Off the bedroom was a deck with a hot tub. FABULOUS!!! View from our room Monday morning. Ha! Barley, man….that stuff will take you DOWN. HAPPY BIRTHDAY, MAGRET! Sounds like you guys had a great farty getaway. Here’s to many more! Thanks Mol. Barley should come with a warning or advisory of some sort. Happy birthday!!! And thanks for the Barley warning. I’ll be sure to avoid it. Or only eat it when I’m alone. Or on a Friday, that way you have the weekend to um, work it out. Thanks! Happy Birthday, Maggie. Glad you had a great, albeit odiferous, trip to the coast. Hysterical account of barley consumption, laughed so hard I farted. Bet you wish you had been there. Your life could have been so much more fragrant. The barley story made me hysterical – burning tires, huh? OMG, that is sooo gross. Thanks for the heads up, I’ll not be forgetting this tale too soon. No barley for this gal. Glad you had such a memorable trip with Derwood. The view in the morning – gorgeous!! I don’t know why farts are so damn funny, but they are. I could have cautioned you on barley. But finding out the umm hard way is more fun. Sounds like you made memories. No pun intended. haha! Thanks for nothing! Barley needs to have a safety warning attached to it. I had no idea what I was in for. Thank goodness most of it wasn’t in public. And I had some of the leftovers for breakfast! Thanks Caroline! I’m glad I can keep you occupied on the train. I don’t know what happened after the barley farts because I was laughing so hard the tears obstructed my view of the rest of this post. Oh well, happy birthday! That’s what I’m here for Fish! and thank you! I don’t know if I can. Barley scared me. Happy birthday dear Maggie. Very funny blog. I love the channel House. It’s very romantic. Thanks Sandy! It is very romantic! I had no idea. Unfortunately it has tempurpedic beds and the mattress almost crippled me. I’m old. That was the funniest post I’ve read in a long time! Thank you! Glad you had a great trip and learned a lesson too! Thanks Red, that is high praise coming from the comedian up north! Happy Birthday and a hilarious post, you know you’re in great relationship when you can let rip in a confined space, even if unintenionally, and they smell that good and you still want to spend the rest of the weekend together! OMG! I’m in public reading this and trying desperately not to blow snot all over my computer because I’m laughing so hard. So there’s a whole story that is not abot Keyser Söze, but… Can I wish you happy birthday today, on this very post, like…now? Wait…you’re 48? NO WAY. I would never have guessed that. I love the Oregon Coast, I really do. I love going there any chance I get. 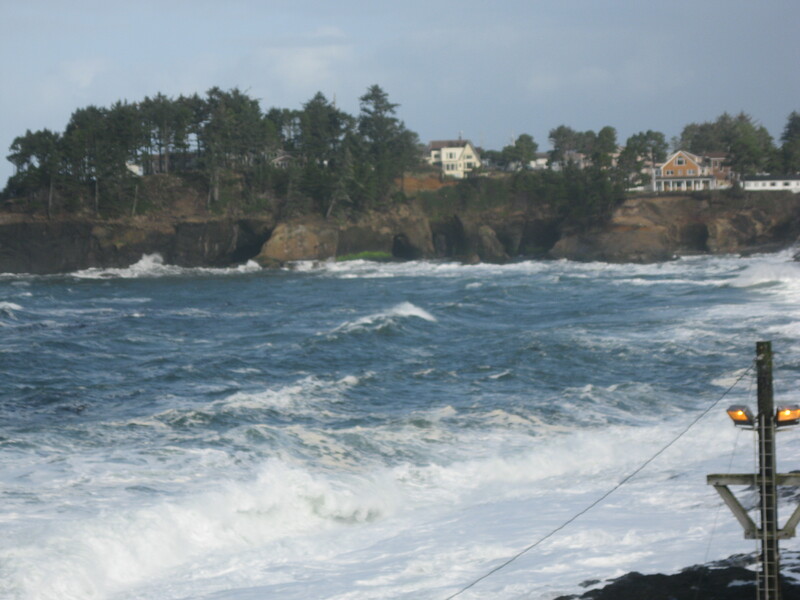 I laughed about what you said about Depoe Bay. The downtown area kinda gives me the heebie jeebies. Seriously who would have thought Depoe Bay? I know Derwood saw my face when he showed me the hotel and I love him so much so I try to be nice….and it was really nice. And the restaurant was Portland foodie good and no barley. Happy Birthday Maggie. Very very funny post. Ha!! This was so not what I had in mind when I read “the Barley Incident,” but is SO GOOD. Happy birthday, m’dear!!! What sort of Barley incident were you expecting? and thanks! How did I miss this post? Happy belated birthday Maggie! I hope you were driving with the windows rolled down. Oh, yeah. Sorry! False alarm! Well the alarm was very real just a more personal tsunami!